Letter to administrators of California State University, Fresno expressing concern that the abrupt cancellation of the search for the Edward Said Professorship in Middle East Studies after the names of the four finalists - all of Arab or Muslim descent - constitutes a violation of academic procedures and violates academic freedom. Regarding research and travel ban of Kristina Bogos. Update on the March 30, 2016 letter to CUNY Chancellor and Board of Trustees. Letter to the President of SFSU protesting the harassment of Professor Rabab Abdulhadi and efforts to abrogate the university’s partnership with al-Najah University. Letter to UC Berkeley Chancellor Dirks protesting the cancellation of a student-taught course on Israel/Palestine. Letter calling on SUNY Plattsburgh administrators to defend the academic freedom of Professor Simona Sharoni. Letter to Secretary of State John Kerry expressing concern about Department of State failure to grant newspaper editor Abdel Bari Atwan a visa to come to the US for a book launch lecture trip. Response from United States Department of State, Assistant Secretary of State for Near Eastern Affairs, to the March 29 letter to Secretary of State John Kerry calling to suspend military and economic aid to Egypt. Letter to UC Irvine chancellor regarding the university's response to a student protest on May 18, 2016. Letter to New York Governor Andrew M. Cuomo opposing Executive Order 157, a highly dangerous threat to the constitutionally protected right to free speech. 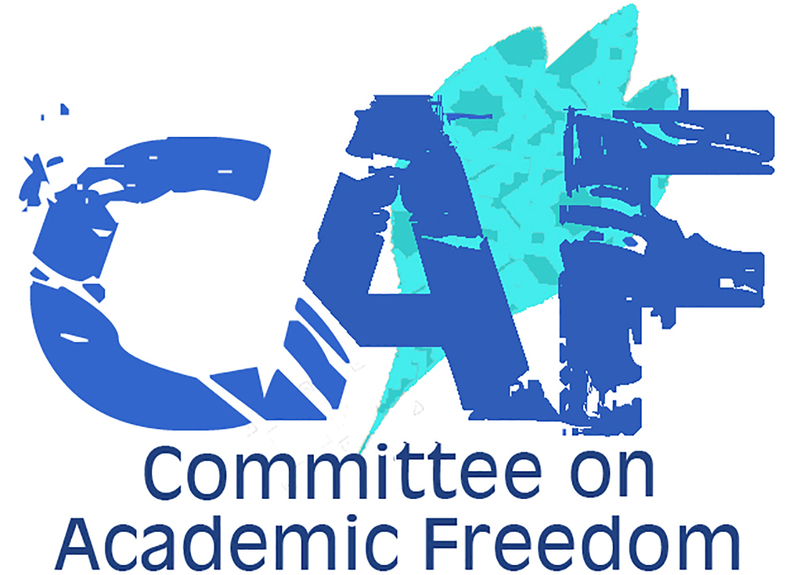 This Executive Order undermines the principles of academic freedom which are so crucial to maintaining the integrity, autonomy and educational mission of New York’s public and private institutions of higher education. Letter from CUNY Chancellor James Milliken responding to the concern voiced in the March 30 CAF letter regarding what could be construed as the cooperation of the administration of the City University of New York with a campaign of harassment and intimidation initiated by a politically motivated group based outside the university. Letter to the Chancellor and Trustees of CUNY regarding the university's investigation of alleged anti-Semitic incidents on campus. Letter to Secretary of State John Kerry urging the USG to reconsider its assistance to the Government of Egypt in light of the recent crackdown on Egyptian NGOs' working in the rights' domain. Letter to Wheaton College President Philip Graham Ryken urging him to reject the provost's recommendation that "termination-for-cause" procedures be initiated against Professor Larycia Hawkins because certain statements she allegedly made are supposedly inconsistent with the college's Statement of Faith and calling on him to affirm Wheaton's commitment to uphold the principles of academic freedom.